From the South Pole and nuclear bunkers to flotillas and particle accelerators, servers are everywhere… Here’s a few of the unusual places you can find data centres around the world. 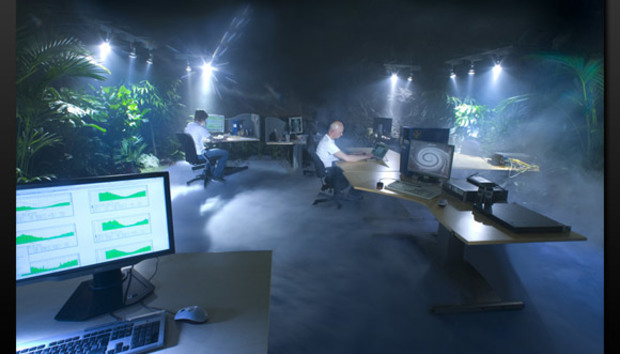 Underground data centres – both in naturally-occurring caves and man-made mines, are becoming increasingly common. Iron Mountain runs a 1.7 million square feet site in a former Limestone mine in western Pennsylvania, while SubTropolis is another Limestone-based site just outside Kansas City. In Asia, Sun Microsystems created a data centre within a 100 metre deep coal mine in the Chubu region on Japan's Honshu Island. In Europe, the Lefdal mine data centre is a 1.3 million square foot space built from a site previously used to mine for the mineral Olivine. We talked to the site’s owners about the challenges of turning a mine within a mountain into prime hosting space. Over the last few years, Iceland and Northern Europe have become a hotbed of naturally-cooled data centres that use the ice-cold Fjords to reduce their Carbon Footprint. However, sometimes the local geography can get a bit hot and filled with magma. Verne Global’s datacentre in Iceland makes use of the geothermic activity in the area, and it’s also volcano-proof. « InfoShot: Which AI has the highest IQ?